Once again I waded through the fetid swamp of the interhole this morning in search of new things worth blabbing about. Once again, I found new riches in the muck. Here are three of them. If you think I’m ever going to get tired of pimping Sólstafir, think again. My pimping energies are endless. The latest excuse for writing about them is today’s premiere of yet another new song from their next album, Ótta, which will be released by Season of Mist on August 29 in Europe and September 2 in North America. The new song is named “Lágnætti”. From the slow piano chords, the sound of strings, and Adi Tryggvason’s plaintive vocals at the beginning, the song builds in intensity with a driving beat and riffs that moan and claw at the sky. Tryggvason’s voice turns searing, but the haunting melody persists through to the end, the piano and the distorted guitar chords forming a duet that sinks it home. Wonderful. 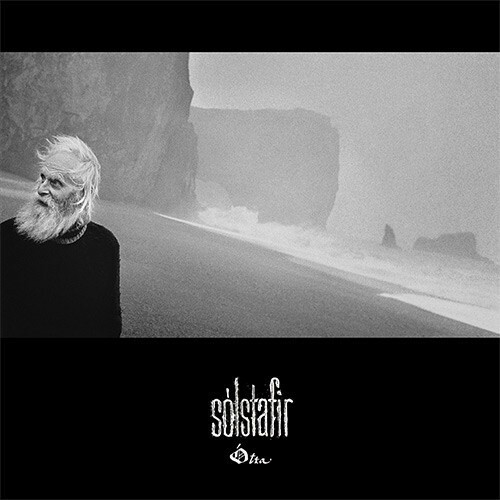 Find Sólstafir on Facebook here. 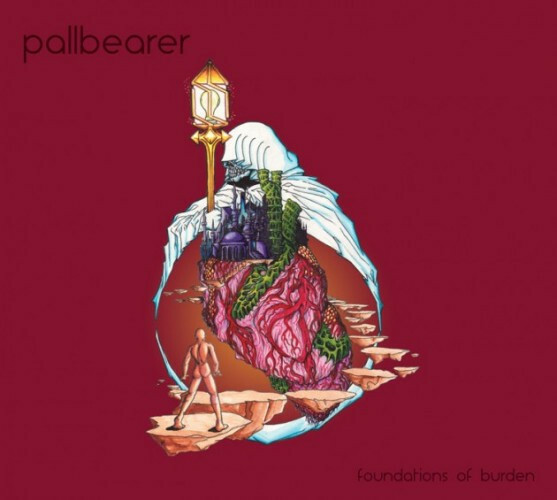 Pallbearer’s new album entitled Foundations of Burden and it will be released by Profound Lore in NorthAm on August 19. When I first wrote about that news, I said I had very high hopes for it, because 2012’s debut album Sorrow and Extinction was so good. From what I just heard, I don’t think I’ll be disappointed. The first taste of new music came today via NPR’s premiere of “The Ghost I Used To Be”. It’s a 10-minute amalgamation of slow, earthquaking riffs and high, cloud-catching vocals, beautiful piercing guitar leads and stone-splitting percussion. It’s intensely melodic, heavy and hard-rocking, and funereally staggering and somber — it’s all those things, and really damned catchy, too. I love it. Honestly, I’m getting kinda tired sending you off to other places to listen to music, so for the third song in this collection I’m including a track you can stream right here in the cozy ad-free confines of NCS. 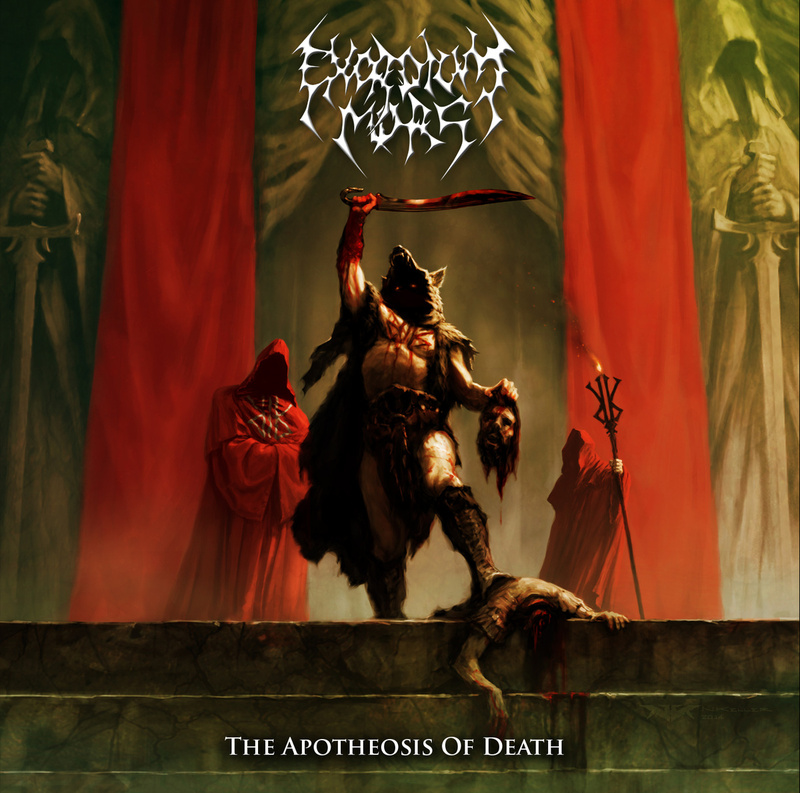 This song is named “As the Vultures Descend” and it comes from The Apotheosis of Death, which is the debut full-length by New Zealand’s Exordium Mors and which features fantastic cover art by the one and only Nick Keller. The mere fact that the band are rooted in New Zealand should give you a guess about their sound — and if you guessed that it shows no mercy, you’d be right. It’s a ripping ride, that’s for damned sure — a black thrashing attack that jams the electrodes into the brainstem and jacks the voltage. Lots of full-throttle guitar and bass work, lots of galvanizing drumwork, and a very cool howling vocal performance. I feel like running into traffic like a crazy man, but I’ll try to resist the impulse long enough to embed the song below. FUUUUUUUUUUUUUUUCK!!!!!!!! I just figured out that Pallbearer is playing in Lawrence, KS tonight, and I am not there. Goddammit. Yyyyyyep, new Solstafir and Pallbearer are each gonna be GODDAMN SPECTUCULAR. I keep reading comments about how the production of the vocals are much better on this track than on the last album. Basically the comments claim they were, at times, buried in the mix previously. I totally disagree. For me the vocals on this track seem to be lacking the heart-rending punch and rawness of the 1st album. A little too well produced perhaps. Won’t stop me from buying the album though.